The mantra to let the law take its course seems like a platitude when faced with a serious criminal investigation. Each party will have their own interests and will fight to protect them. For example the prosecutor will want the defendant to come across as the worst thing that has happened to the world. On the other hand, the defending attorney will want to portray his or her client as a hapless victim or a well-meaning interventionist. The public may want their pound of flesh from the trial, including the entertainment value. However, in the cool environment of a courtroom, it is the law that takes precedence. 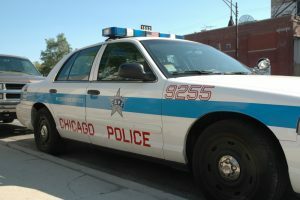 In this article we consider the offense of obstructing justice in Chicago as described in 720 ILCS 5/31-4. The law on obstruction of justice in Chicago is borne out of a concern that defendants and their accomplices will try to make it difficult to undertake prosecutions. They can do this in a number of ways which involve omission and commission. In the worst case scenarios, there is witness intimidation which is an altogether different and sometimes even more serious offense in Chicago. Obstruction is a felony even if it encompasses quite a wide variety of behavior. This may include false testimony, concealment of essential information, and destroying or disguising physical evidence. Typically, there are two avenues opening for charging someone for these offenses. The first one is known as information while the second is known as indictment. Because this offense is committed while the law enforcement agencies are doing their work, the charge is most likely to be a police officer. He or she will swear and sign a form in order to present the complaint for prosecution for the information route. However, the prosecution can also put the suspect before a grand jury. In this case, a panel of 16 people will then make a decision as to whether there is probable cause to take the case forward. For the defense attorney there is the added complication that the court process might descend into a case of “who said what.” That will automatically favor the prosecution because the public is generally inclined to believe the testimony of a police officer. When the evidence is overwhelming, the attorney might advise the defendant to take a plea bargain. Such a step should always be taken with caution given the fact that the defendant will end up with a criminal record regardless of whether he or she actually goes to prison. Because the accessories to the crime of obstruction are usually family members and friends rather than hardened criminal accomplices, it is unlikely that such an offense is going to be repeated. The judges take this into consideration, particularly if it can be demonstrated that the accused was not sophisticated in the commission or alternatively was forced into covering for the criminal. These are lines of defense that are always explored as a means of disposing of the case successfully. As mentioned earlier, the people who commit this crime may not be originators of the plan but rather tools in the grand scheme of the criminal mastermind. Therefore it is always a good idea to consult an attorney when engaging with law enforcement agencies. In this way you can avoid becoming an accident accessory to a serious crime or alternatively obstructing the course of justice. Of course, ignorance of the law is never a satisfactory defense in either Chicago or any part of the USA. To get an experienced attorney on your case, call David Freidberg Attorney at Law today at 312-560-7100.